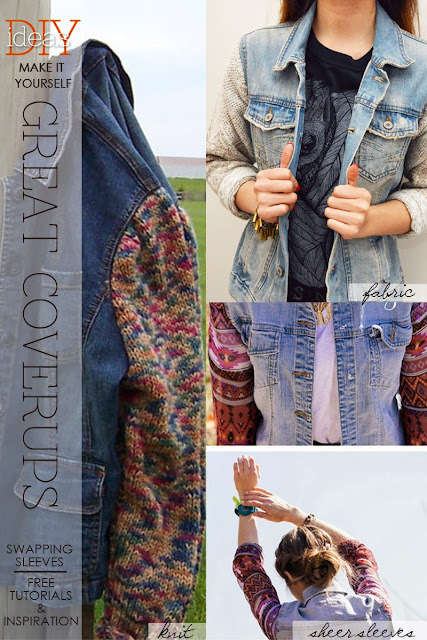 Ahhh...the jean jacket, the more broken in the better. 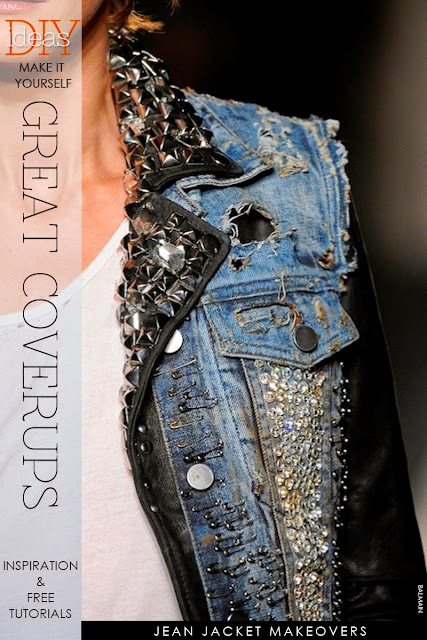 This is definitely a staple in everyone's wardrobe. 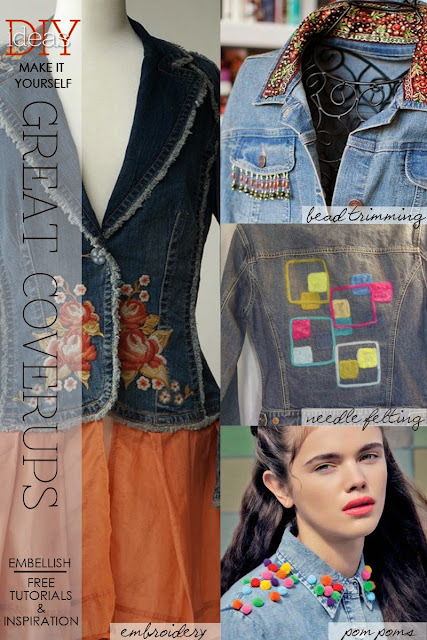 Whenever I'm shopping, my eye will pick out a denim jacket, especially if there's an interesting shape or detail added to the traditional design. 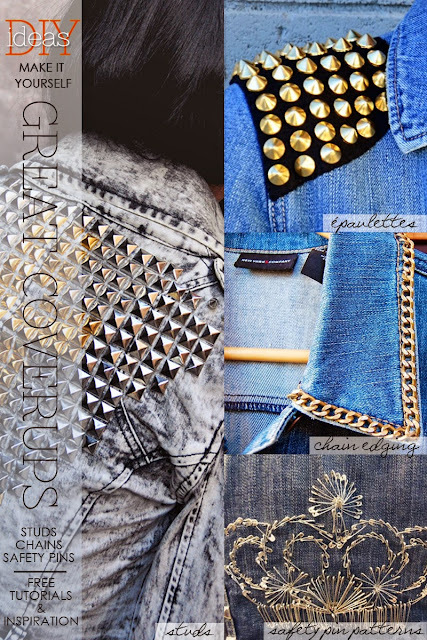 Patchwork, embellishment and destroyed surfaces give jackets an edge, which is much more personal and fun to DIY. 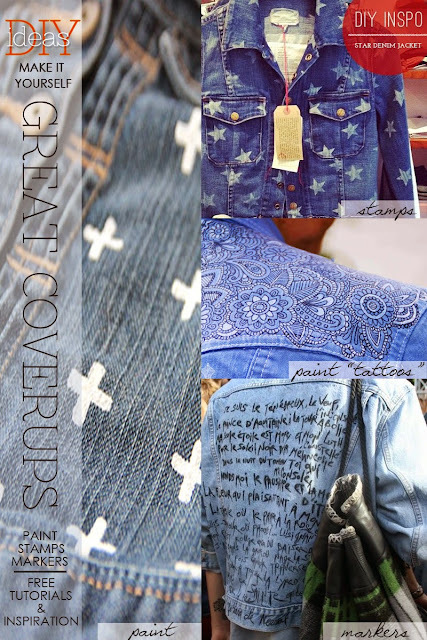 Read further for different ways to give your jacket personality, whether you want to add a new back, paint a "tattoo" or swap out the sleeves for a sheer print. 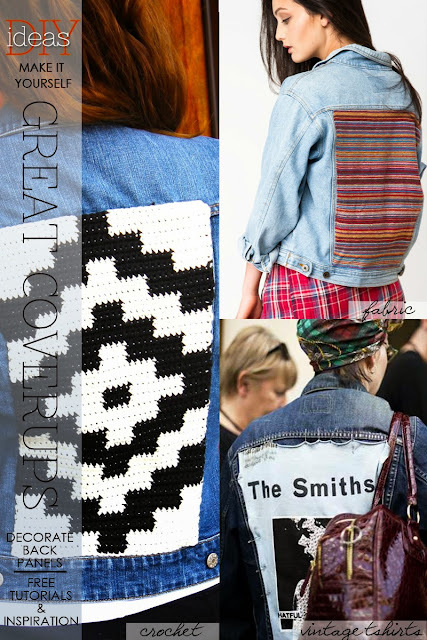 Add humour, glamour, grunge and most of all, a sense of fun to your next jacket.